Premier Li highlighted reform and innovation to upgrade growth during his visit to Shiyan and Wuhan on May 23-24. Premier Li said enterprises should ensure that redundant staffers don’t end up unemployed during the process of cutting excess production capacity on May 23. Premier Li urged State-owned enterprises to remove excess production capacity and increase quality on May 23. Premier urged quality reform to promote upgrades in manufacturing while visiting a Dongfeng plant on May 23. Speaking at big data summit, Premier Li stressed integrating innovation and craftsmanship spirit to fuel reforms. 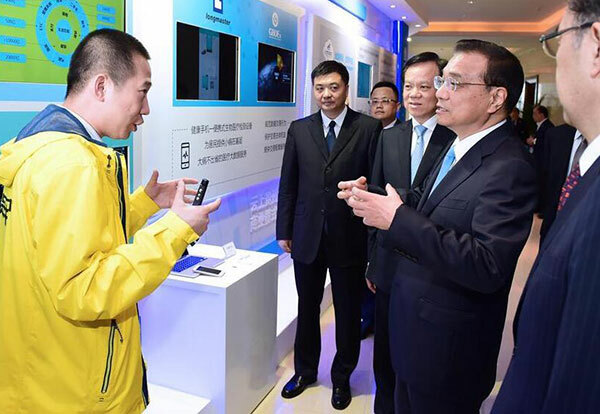 Premier Li Keqiang said at a big data industry summit that China will integrate informatization with the real economy. China will create a more equal market to attract foreign investment in big data and e-commerce, Premier Li said.